Master of Design student Xia Zhang is in his final semester at the Swinburne School of Design. 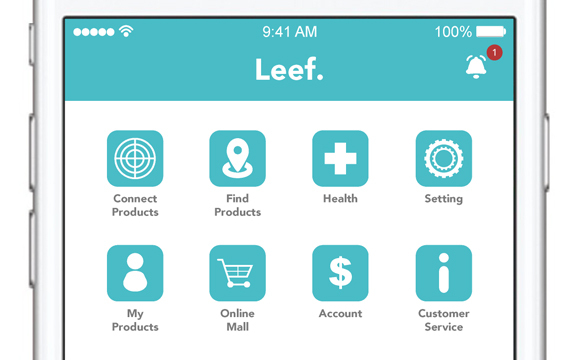 His design product, Leef, a smart walking stick has multiple functions with a supporting digital app. 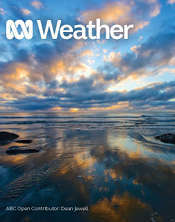 The idea was inspired by the Swinburne School of Design’s Master of Design program theme, Re-imagine ageing. The project was led by industry partner John Pollears and Simone Taffe, Associate Professor in Communication Design. Mr Zhang has a fashion design background. This, combined with co-design techniques involve working with people trained in different design disciplines. Working this way, with the elderly, prompted him to cross into new technology domains for this project. “Feedback from co-design workshops helped me improve the idea. Some participants suggested that I could add fashion elements to the walking sticks. This made the sticks more popular and acceptable. 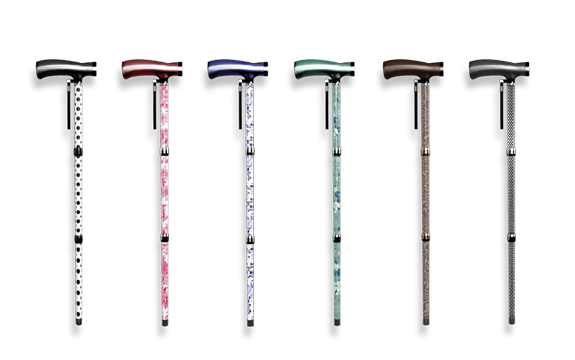 They helped me to choose the most important functions for the walking stick,” says Mr Zhang. Designed to assist people with more than just mobility, the re-imagined smart walking stick features multiple functions. These include lights, GPS tracking, an alarm and wi-fi connection. The app connects to the features in the walking stick. It indicates battery life, provides tracking for carers to locate an elderly person using the stick, and monitors their activity. The walking stick has a rubberised handle that is softer and warmer than steel or wood. The shaft of the stick is made from steel to support a person’s weight and to withstand daily wear and tear. When not in use the walking stick can be folded to a small size that fits into a backpack or carry bag. Leef comes in a large range of colours and patterns to match fashion preferences. The built-in light system is powered by a rechargeable battery inside the walking stick handle. Supplying divergent light, this is more convenient for elderly people on the move and is designed to guide people walking outside at night. 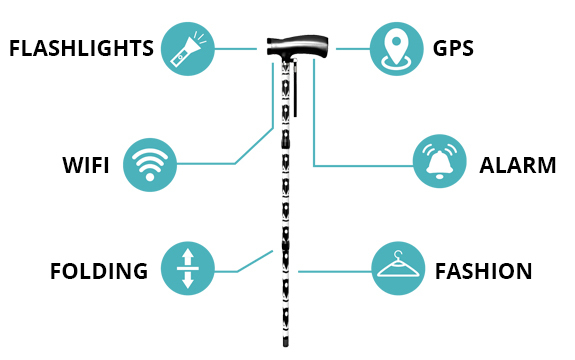 A wi-fi connection inside the walking stick allows carers to connect to an elderly person using the stick with their mobile devices, by using GPS tracking and the support app. It tracks an elderly person’s location. If the user gets into trouble they can push an alarm button and the support app warns carers. Alternatively, using the support app, carers can detect lack of movement and the location of an elderly person and attend to them quickly. The app also indicates battery power levels in the walking stick, and can supply health data such as the number of steps walked each day. There are plans for the app to also provide news articles for carers and family about health issues, aspects of ageing and how to take care of ageing people.